OK, it’s not a Matador presentation. But the flyer art could hardly be snazzier if it were. The second 7″ in Jay Reatard’s singles series for Matador Records & Filmworks, “Painted Shut” b/w “An Ugly Death” will be available for pre-order at 3PM Eastern Time. As with the last record, quantities are extremely limited so we can only honor one copy per order. This record features features artwork by Mike Sniper. We’re expecting field reports from Patrick and Natalie. Until then, I’m just psyched Cheap Time tees are available in purple. The second 7″ in Jay Reatard‘s singles series for Matador Records & Filmworks, “Painted Shut” b/w “An Ugly Death” will be in U.S. stores May 20 (May 19 in the UK). The cover art (above) is by Mike Sniper. We’ll be announcing the preorder date soon —- keep your eyes glued to this blog and/or the Matador Bulletin Board. May 19 remains the UK release date for “See/Saw” b/w “Screaming Hand”. more dates to be announced. Unless they’re top secret, in which case they won’t be. 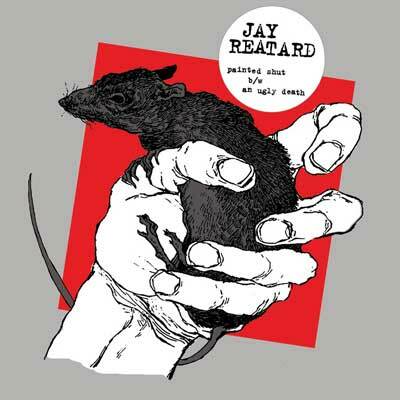 The first 7″ in Jay Reatard’s singles series for Matador, “See Saw” b/w “Screaming Hand”, goes up for pre-order TODAY at 3pm Eastern Time. Because of the extremely limited quantity of this record we will only honor one copy per customer so plans to stockpile these and send your kids to college isn’t going to work this time around. Also, once they’re gone, they’re gone so don’t dilly-dally!! OK, admittedly, that message came in several weeks before we announced we were working with Jay. 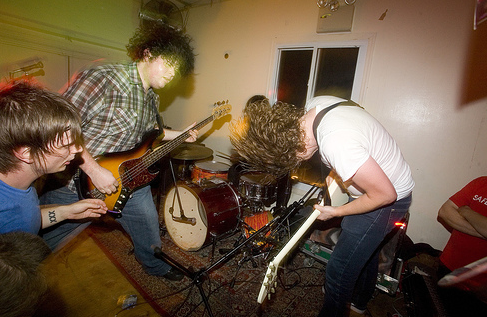 But regardless, this is an awesome single that totally lives up to the crazily high standards Jay Reatard has set, and we fully expect it will quell your consumerist fury for at least a day before we start being threatened about single no. 2. 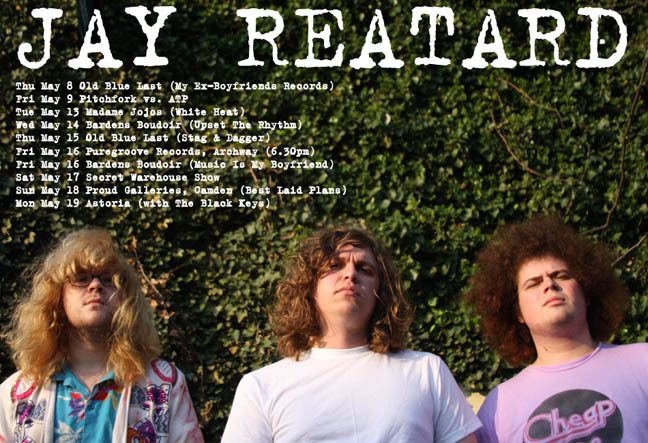 Though we posted a bunch upcoming Jay Reatard dates already, all of the old ones plus a bunch of newly confirmed dates are below. Jay will be playing multiple times during the week of SXSW, but we’ve been asked to keep you guessing exactly where and when. 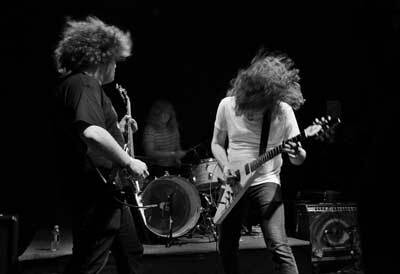 We’ll be releasing details about Jay Reatard‘s first 7″ for Matador very soon. Until then, here’s a bunch of forthcoming shows. Jay will be playing multiple times during SXSW and as soon as we know the times/dates (ie. we read them on Brooklyn Vegan), we’ll certainly share the news. Tickets for the April 22 show at Europa are available here. 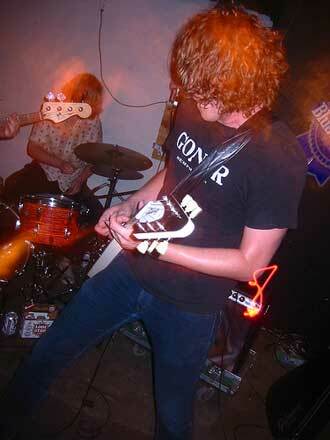 After months of public speculation, late night phone calls and a fascinating thread on a bulletin board other than our own, we’re pleased to announce Matador will be releasing six limited edition singles in 2008 by the wildly prolific Jay Reatard. Manufactured quantities of each single will diminish with each successive release. We’ve not figured out the exact scheme yet, but given our commitment to the customer-always-being-angry, rest assured the numbers will be lower than you’d like. For those not nearly hung up on the collector skum scenery, all 6 7″‘s will be compiled for a subsequent CD and LP release. 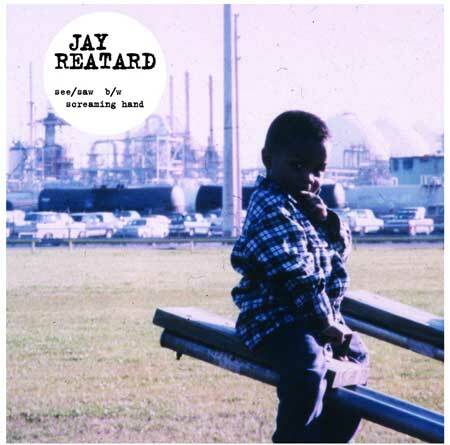 Jay’s blog can be found here. His myspace page, here. We’ll have some real info about this early in the new year.